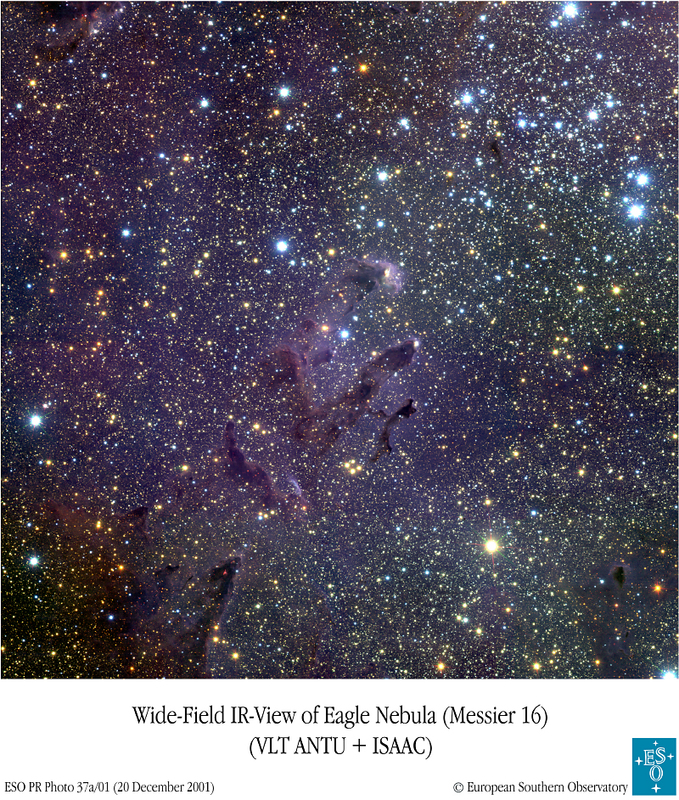 Explanation: The Hubble Space Telescope's 1995 image of pillars of dust and gas, light-years long, within the Eagle Nebula (M16) was sensational. The three prominent pillars in that close-up visible light picture also appear below center in this wide-field mosaic along with massive, bright, young stars of cluster NGC 6611 (upper right), whose winds and radiation are shaping the dusty pillars. 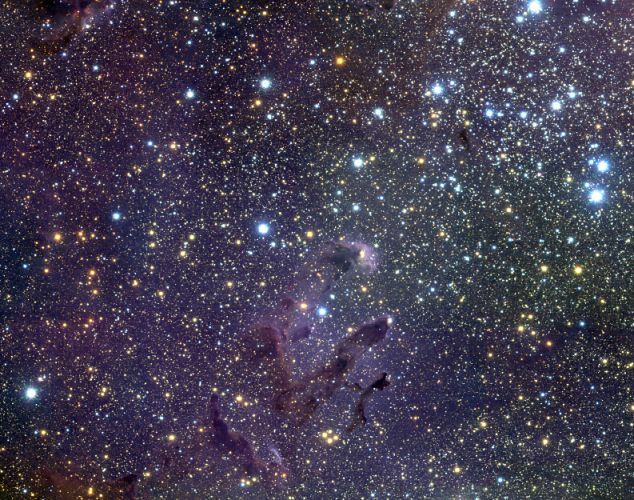 Made in near infrared light with the European Southern Observatory's 8.2-meter Antu telescope, this wide-field image makes the pillars seem more transparent, as the longer wavelengths partially penetrate the obscuring dust. While the Hubble image showed the pillar's startling surface details - over 70 opaque, finger-shaped lumps of material dubbed evaporating gaseous globules or EGGs, the near infrared view has allowed astronomers to peer inside. Comparing the two views reveals that nearly a dozen of the EGGs do indeed have stars embedded near their tips. More stars within EGGs may be detected if longer wavelength observations of the region are made. But which came first, the stars or the EGGs?